Description: Heartwood is distinctly pink when freshly sawn, but when seasoned varies in color from light pinkish-brown to a deep reddish shade; the yellowish-brown sapwood is not always clearly demarcated. Interlocking grain and coarse texture. Working properties: Reduction of cutting angle to 15 degrees helps reduce pick up on surface of board. Glues and works easily. Takes a high polish and good finish. Description: Heartwood varies from blood red streaks to bright orange (when freshly cut), sapwood is a pale yellow color (41 lb./ ft3). Straight grained with some interlocking, texture is moderate to coarse. Working Properties: Easy to work, glues well and takes a first class finish. Recommended to work in a well ventilated area as the dust is very fine. Working Properties: Easy to work with both hand and machine tools with little dulling effect on cutters. Can be nailed, screwed, glued and stained satisfactorily and takes a first class polish. Working Properties: Due to it’s light density, it is an easy wood to work, however since it does have silica content, it does cause blunting of cutting edges on tools.  Description: Heartwood is a creamy light color which is uniform throughout the boards. (26 lb/ft3). Description: Color range dark golden brown with black streaking to a pale brown with some red. Straight grained with even texture some interlocking grain (40 lbs/ft3). Description: Color is usually deep red with ribbon figure in quarter-sawn Grows to 90 feet height and 24 inches in diameter. Density is 5.5 lbs per bf. Hard. Poor steam bending properties. Description: Has a light golden yellow to brown color with black streaks. Tight grained and dense (51 lb./ft3). Distribution: Range is tropical South America. Uses include joinery, turnery, handles and veneers. Description: Heartwood is a light red brown attractively veined with pink or red stripes; the sapwood is white in color (50 lb./ ft3). Working Properties: Interlocking irregular grain may pick up, moderate to severe blunting effect may occur. Nailing & screwing requires pre-boring, stains easily and achieves a very high well polished finish. Description: Ranges in color from a light orange to darker red with purple and black streaks. Tight grained, at times interlocking and very dense (68 lb./ft3). Working Properties: Prone to checking and cracking, severe blunting of tools. Glues well, should be pre-bored before screwing or nailing. Polishes to a very high finish produce an excellent end result. 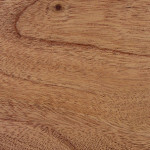 Description: Reddish brown with flecked surface on the quarter sawn. Coarse texture and medium hardness. 5.5 lbs per bf. Uses include decorative joinery, flooring, furniture & veneers. Description: The Heartwood is an orange / yellow color with black wavy streaking that gives it a marble appearance, grain is interlocked and coarse textured. Working Properties: Moderate blunting of tools, turns well but a sharp edge is recommended. Description:. Light to medium brown with streaks of black and darker brown running through it. Has a fine texture with a shallow interlocked grain giving it a marble appearance (55 lbs/ft3). Description: Light to medium brown with streaks of black and darker brown running through it. Has a fine texture with a shallow interlocked grain giving it a marble appearance (55 lbs/ft3). Discription: The heartwood ranges from a pale creamy yellow brown to a light olive green. It may also have mineral streaks of grays, greens and sometimes purples. It generally has a straight grain, and a medium to fine texture (28lbs/ft3). Working Properties: This wood turns, machines and glues up well. It takes paint and stains well too. Distribution: Range extends throughout tropical America. Grows to 125- 150 ft in height in the wild. Density averages 4 lbs per bf. It is stable in use and has moderate steam bending properties. Uses include plywood, turnery, joinery, heavy-duty flooring, furniture, veneered panels, truck flooring, as well as construction of bridges, pilings and chemical vats. Hard and insect resistant. Uses include musical instruments, boats, humidors, chests, joinery, boats, turnery. Soft and liable to beetle attack, but termite resistant. Working Properties: It generally works quite easily, however due to it’s interlocking grain, sharp cutter edges are required when machining. (34 lbs/ft3) Although it has poor steam bending properties, it glues up well and takes a good finish. Description: A brown to dark brown heartwood with blackish streaks and a thin yellowish sapwood, that gives it a very attractive figure. Very dense and somewhat oily. Working Properties: Yields a very high and smooth finish. Takes wood polish and oil readily and has a very pleasant and distinctive smell that can be noted on furniture pieces that are over 100 years old. Working Properties: The wood is generally pretty easy to work. It turns, machines and glues up well and takes both a finish and stain well. It is also regarded to have good steam bending properties. Working Properties: Easy to work but can cause blunting of blades due to resin pockets in wood. Should be pre-bored when nailed or screwed, gluing surfaces should be correctly prepared. Filling of grain required to achieve a high finish. Description: The heartwood ranges from a pale yellow brown to a medium brown color. It has a medium to coarse texture. (47 lb./ ft3). Working Properties: Rates of growth determine workability of the wood, with the faster growth material being more difficult to work. It nails and screws well, however it is recommended to pre drill. Glues up well and can be stained and polished to a good finish. Description: Color bright yellow, often with fine straight grain. Trees grow to 100 ft height and 30 inches diameter. Density is approximately 4 lbs per bf. Stable in use moderate to poor bending properties. Uses include joinery, turnery & furniture. Description: Dark brown with irregular blacks streaks that makes for a striking pattern. Has an interlocking grain and a medium density (50lbs/ft3).